This was my very first year attending TechEd. I was there representing Telerik's XAML Products and co-presenting a few side sessions with Chris Sells on our Windows 8 Metro control suite. I didn’t get a chance to attend any of the sessions so the first thing I did when I came back home was make a list of the sessions that I would have went to and share with my readers. OK not all of the sessions listed below are entirely related to XAML but I think they may interest you. 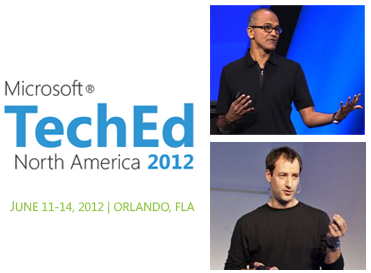 Go ahead and check out all the great sessions that TechEd 2012 had to offer. Below is a list of sessions that I have personally selected. I am not going to add in a description as the title is probably enough. Did I miss anything good? If so then leave it in the comments below.